Singapore is the country of business opportunities. Opportunity to buy at a lower price, opportunity arising out of a new contract, opportunity to enter a new market and many others. They arise instantly and if unused – they fade away shortly. That is a basic principle known to every Singaporean business owner. It appears the only place where opportunities do not count is the traditional SME financing sector. Most opportunities are not quite made to survive the stringent credit scoring procedures, collateral and guarantees, and 6 months waiting for the bank’s onboarding. 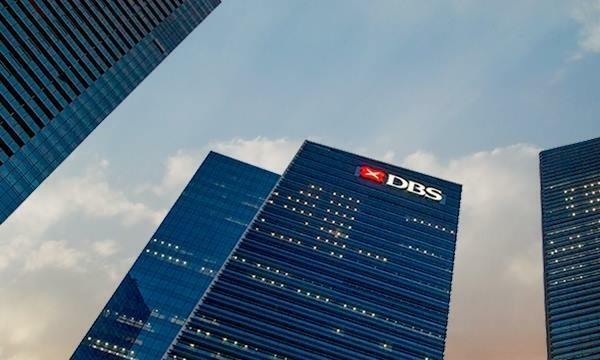 Still, habit and knowledge of usual finance options make Singaporean business owners turn to commercial banks to finance their needs in the pursuit of opportunity. But can the alternative finance solve the financing needs of Singaporean companies more effectively than banks? If you have been in the business less than two years, your company has little chance to get bank financing. The reason is that newly formed business doesn’t have enough financial history to be assessed on creditworthiness. In contrast, alternative finance is precisely catered to give a wider access to finance for different businesses independent of their stage of development. The company can choose from different options, such as crowdfunding, peer-2-peer lending, balance sheet business lending or invoice trading. Once the company has built up its track record, it becomes potentially attractive for banks and other traditional finance providers. Depending on the nature of the opportunity, the company can opt either for different forms of loan or for true sale or most of the options of alternative finance mentioned above. The loan option is offered by both traditional lenders and the alternative financiers. True sale is mostly offered by non-bank financial companies and alternative finance companies. It comes in the form of invoice discounting or some type of factoring. The company simply receives instant cash in exchange for sale of its account receivables at a discount. The benefits of using alternative finance versus bank loan are based on the following three pillars. First benefit concerns the general flexibility of the alternative service providers. Foremost, there is a funding flexibility offered by alternative finance providers that allows a borrower to ask for finance at demand, generally known as the “fund as you go” principle, whilst a banking loan facility is fixed and its revision can take months. Then there is a collateral flexibility, where some of the alternative finance providers do not require personal guarantees, deposits or assets being pledged. It is mainly due to the fact that alternative finance platforms have different business models and approach to customer evaluation than those of the banks. Finally, there is a flexibility in terms of funding utilisation and frequency. For instance, in invoice trading you can sell a single invoice or a bulk of invoices depending on your company’s needs with no long-term contractual obligation for volumes. The second benefit of the alternative financing is the convenience achieved by the technology application. Even though some traditional players are catching up, the alternative finance companies are primarily the Online service providers. The right application of technology allowed online alternative finance providers to serve the applicants faster and in more convenient ways. In most cases, the borrower, from the moment of applying for finance to getting its funds, will do the interactions online with no call center queues or branch visits. The third benefit is the onboarding with alternative finance companies that takes from two weeks to less than a day depending on a type. The traditional players will drag the time up to six months with an exception of micro-loans or the company being a current customer. Despite of all the advantages of the alternative finance, the borrower should carefully calculate the costs. There is no common view on what option is cheaper - the bank loan or the alternative financing as the truth lies somewhere in between. On one hand, banks offer lower interest rate but they attempt to compensate their costs via additional set-up and processing fees, lock-in options and commissions. Alternative finance providers, on the other hand, disclose all the fees upfront and try to compete with different payment flexibility and other non-pricing options to win bank’s customers. And let’s not forget the cost of missed opportunity that should also be sized before taking the final decision. So, whether your company is considering taking a bank loan or using alternative finance, the best advice would be to apply for both and choose the one suited for your company’s business circumstances right now. The co-founder and Director of Incomlend, Dimitri Kouchnirenko, has 17 years of commercial and banking experience. After graduating from Columbia Business School, Dimitri worked in EU, CEE and Asia for big names like L’Oreal, Capgemini and BNP Paribas. Throughout his executive career, Dimitri successfully introduced new brands to the market and created new business franchises that later transformed into multimillion dollar businesses. In 2016, Dimitri and his business partner launched Incomlend. His vision for the company is to digitalise global trade by automating and integrating document exchange, money flow and finance.